CyberLink offers a complete solution for realizing ubiquitous media—delivering digital entertainment to anywhere in the world. CyberLink PowerCinema provides an integrated platform for enjoying digital media including HDTV, DVDs, videos, photos, and music. CyberLink TVEnhance integrates seamlessly with CyberLink PowerCinema and Windows Media Center. 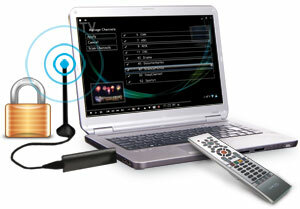 TVEnhance enables viewing and recording of secure premium TV content on the PC. TVEnhance supports live reception, recording and playback of digital HDTV programs, supports Electronic Program Guides (EPG), time-shifting previews, and parental controls. CyberLink Media Server turns a home PC into a network server for digital media. Streaming of high-definition video content to networked devices. Quality of Service (QoS) technology to optimize playback quality for the available bandwidth. Video transcoding optimizes bandwidth usage and ensures compatibility with leading media players. 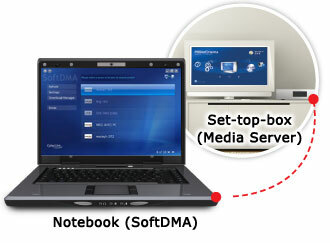 CyberLink SoftDMA is a software-based DLNA media player. Playback of high-definition video, photo and audio formats streamed across a network, including MPEG-4 H.264 (AVC) video and AAC audio. Downloading of content from a network server to a local hard drive for on-the-go playback. QoS technology to deliver the best playback performance for available bandwidth (working with Media Server). Remote operation as a Digital Media Renderer (DMR) when controlled by a Digital Media Controller (DMC).